In NASCAR, money controls the sport. 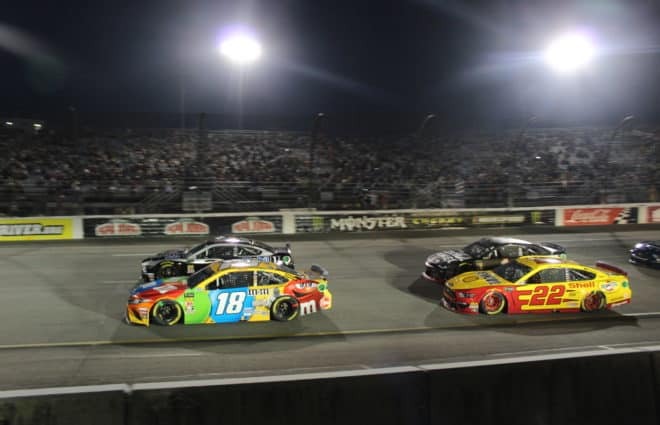 It has been this way throughout the entire history of stock car racing’s premier series. However, rising costs and declining sponsorships have made economics even more important in recent years. Team owners will do just about anything for sponsorship dollars these days — it even influences who they will put in the driver’s seat. The need for cash paved the way for the current “Daddy’s Money” generation of NASCAR wheelmen where sons of wealthy families were the only likely candidates to make it in the sport. Like we saw this week with Brett Moffitt, even winning a NASCAR championship isn’t enough when it comes to keeping your ride. Success in the boardroom or in business trumps actual racing talent more often than it should. Despite this tough NASCAR reality, two drivers broke the mold in 2018. Ryan Preece and Ross Chastain are taking a different route to scoring top rides in the sport’s national touring series: performance on the racetrack. Preece replaces AJ Allmendinger in the No. 47 for JTG Daugherty Racing in the Monster Energy NASCAR Cup Series in 2019. Preece cut his teeth in the NASCAR Whelen Modified Series, winning the 2013 championship and 22 races. For a series considered to be a NASCAR developmental division, Preece becomes only the second NWMS champion ever to secure a full-time Cup Series ride, joining Jimmy Spencer. Because of his success in NWMS, team owner Tommy Baldwin rewarded Preece with a few races in his Cup Series car in 2015. JD Motorsports then hired Preece to pilot its No. 01 car for the 2016 NASCAR Xfinity Series campaign. Preece only produced one top-10 performance and had an average finish of 23rd on the year. 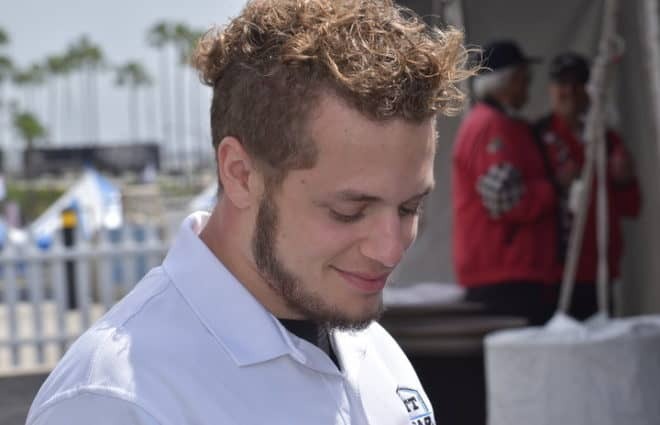 Instead of returning to JDM for his sophomore year in NXS, Preece pulled all his modified sponsors together for 2017 and took a loan to buy the seat of Joe Gibbs Racing’s No. 20 NXS car for two races. In short, he bet on himself. Preece finished second in his first outing before notching his first career win at Iowa Speedway. JGR rewarded Preece’s performance with two more races that season and a partial schedule in 2018. Preece then won the race and the Dash 4 Cash at Bristol Motor Speedway this spring. With that came an extra $100,000 which allowed him to pay off his loan. Preece went on to score seven top fives in just 15 races over the course of the year. 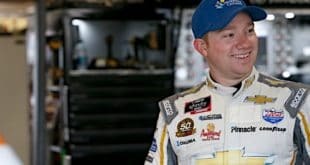 In comparison, 2018 NXS champion Tyler Reddick had seven top fives while running the full season schedule. The success caught the eye of JTG Daugherty Racing. They were looking to replace Allmendinger, who had gone winless the past four seasons despite solid funding. The team has a strong relationship with sponsor Kroger, so it could afford to take a chance on a driver who doesn’t bring additional financial support. Preece’s personal loan paid off with a new lease on racing life. Chastain will drive for Chip Ganassi Racing in its No. 42 Xfinity Series car next year. 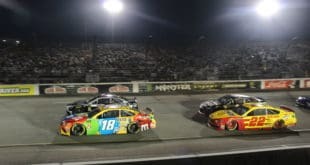 In the course of 12 months, he went from underdog operation to Cup Series driver in waiting for a playoff-caliber team that has Kurt Busch running on a one-year deal. Chastain’s story shares a base similarity with Preece, but has its own uniqueness to it. His family owns a watermelon farm, and he used sponsorship from various watermelon associations to run the full 2012 season with Bobby Dotter’s Camping World Truck Series team after a few races in 2011 with Stacy Compton. Similarly to Preece, Chastain limited his 2013 races so he could put his sponsors’ money together to race for a higher-profile team. In this case, it was Brad Keselowski Racing. 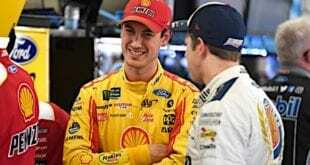 Chastain said on the Dale Jr Download he believed he would follow the same path Ryan Blaney took to Team Penske. But the promotion was never promised and never happened after no trips to Victory Lane. 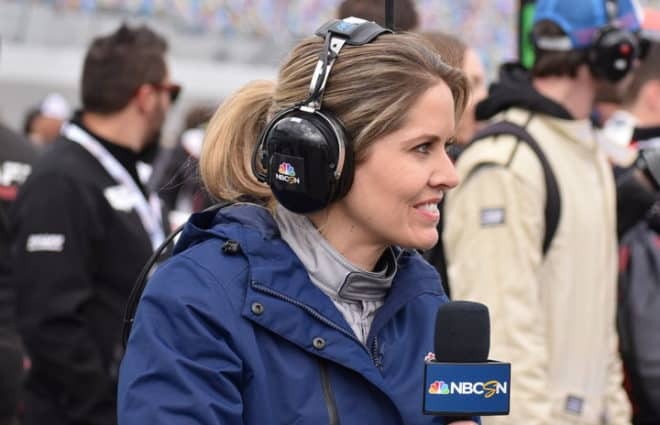 Chastain started the next season with Ricky Benton Racing, but was fired after two races. According to Chastain, Benton told him he didn’t have what it takes to make it. It looked like Chastain’s career might be over. But owner Shigeaki Hattori, the 2018 Truck Series championship owner gave him a chance in his No. 80 Xfinity car without having to bring sponsor dollars. In four races, Chastain’s worst finish with Hattori Racing Enterprises was a respectable 21st. He even nabbed a top-10 finish at Kentucky Speedway. JDM owner Johnny Davis was impressed with Chastain’s run and put him in his No. 4 NXS car full time in 2015, where he was the past four seasons. Chastain added a nearly full Cup Series year to his slate in 2018, driving for Premium Motorsports. He exceeded expectations in both cars and got JDM into the playoffs for the first time ever this season. In Chastain’s early years with JDM, he would also drive the motorhome for Spire Sports + Entertainment, the marketing agency that represents him (Spire just bought Furniture Row Racing’s Cup charter). He’d wheel them to the track each weekend and keep their supplies stocked. Chastain was getting water for the motorhome when Jeff Carpoff, CEO and cofounder of Chip Ganassi Racing sponsor DC Solar, noticed him. The driver’s work ethic impressed Carpoff. He convinced Ganassi to put Chastain in his No. 42 Xfinity car for three races in 2018 — three races where he drove for free. What a bargain. In his first race with the team at Darlington Raceway, Chastain won the first two stages and was racing Kevin Harvick for the lead when the pair wrecked. 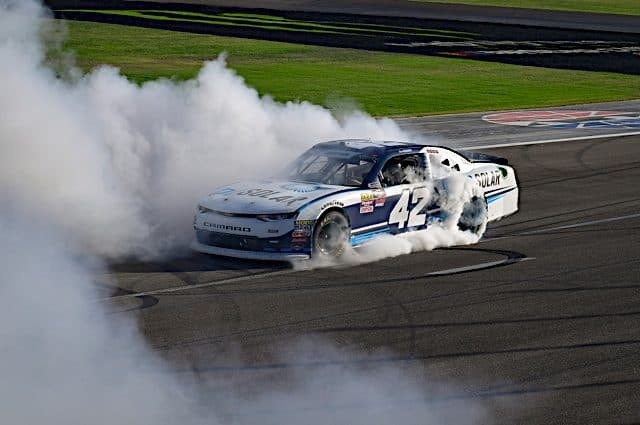 Chastain followed it up by winning for his first time at Las Vegas Motor Speedway. The next week, he finished second at Richmond Raceway. This short, successful stint impressed Carpoff and Ganassi enough to put him the car full-time next year. The ways Preece and Chastain got their opportunities were like the days of old NASCAR, when drivers had to prove themselves in lesser equipment before getting a top ride. The late David Pearson started out in a car bought from funds raised by the people in his hometown before winning in some spot starts for John Masoni and hitching a full-time ride with Cotton Owens. Cale Yarborough bounced around a bunch of backmarker teams before he got connected with Wood Brothers Racing. The problem is what used to be the norm is now a rare find. Such a big deal has been made about Preece and Chastain because so few are coming up through those pipelines anymore. 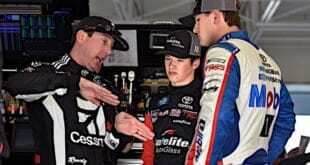 Don’t expect a huge shift in how drivers make it to NASCAR because of this duo’s success. As I mentioned at the start, defending Truck Series champion Brett Moffitt lost his ride because the team elected to go with a driver who brought sponsor dollars. That’s a shame. More drivers should go the route of Preece and Chastain, proving their worth with smaller teams before trying their hand with a larger organization. More drivers could be inspired to bet on themselves like Preece or work hard until they get sponsors’ attention like Chastain. Also, more sponsors could follow the route of Carpoff and DC Solar because of how their gamble paid off. They gave a back-marker with years of experience a shot in good equipment instead of backing a Cup driver in the minor leagues or someone important’s teenage son. But these instances will continue to be few and far between until NASCAR changes up its structure so teams don’t have to solely rely on sponsor dollars. Sure, there will be more Preeces and Chastains in the future. But without change, they will continue to be the feel-good stories that come along every so often. 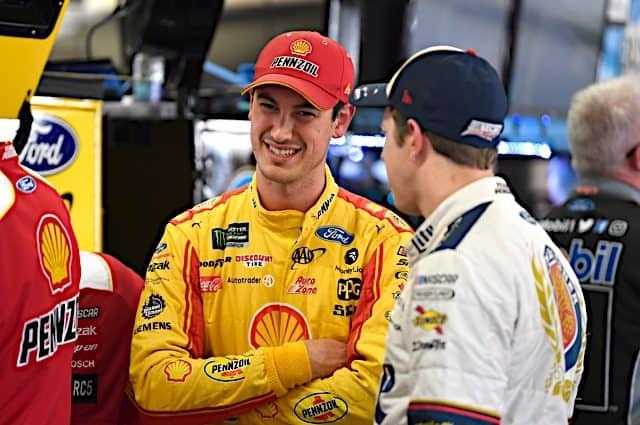 It means the next generation of drivers should shy away from taking the gambles of Preece and Chastain unless they’re absolutely certain they’ve got the talent to win championships. Could you imagine if Preece’s gamble didn’t pay off? He would’ve been two-and-done at JGR and been back in the modifieds with some mad sponsors for wasting all of their money on two races. If Chastain hadn’t caught Carpoff’s eye, then he’d eventually fade away like so many good drivers in bad equipment have. Remember when Jeremy Clements won an Xfinity race? Did that spark his way to a top ride? Hopefully, things change so we can see drivers get rides based on their talent alone. But until that happens, we need to appreciate the stories of Preece and Chastain all the more because we aren’t going to see them that often.